A neater way to decorate with glitter – all the pizzazz and sparkle without all the mess. 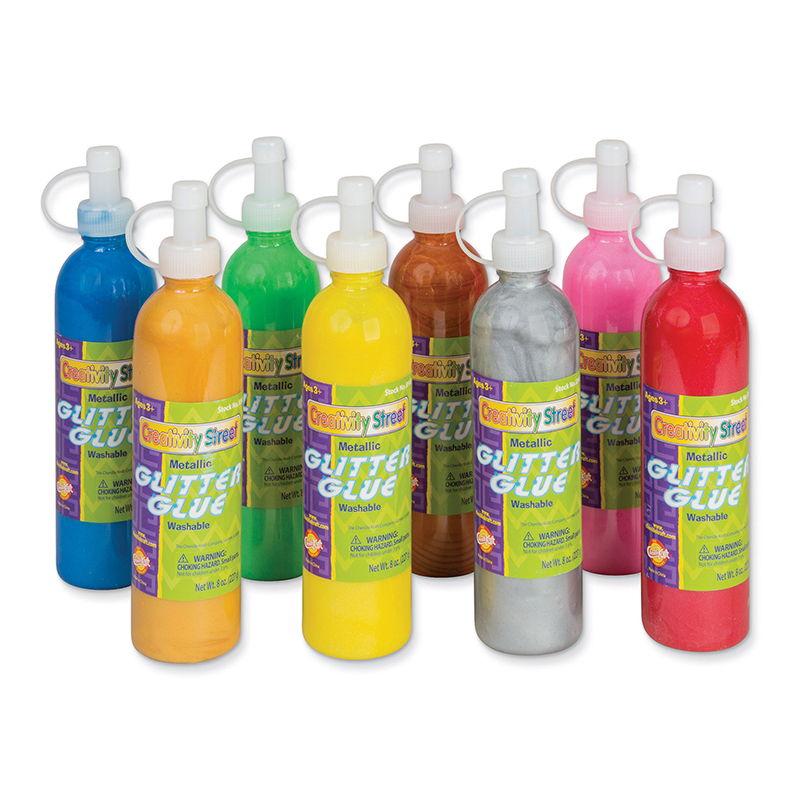 Easy-to-handle, resealable 10 cc tubes dispense non-toxic glue with fun, sparkling accents. Great for collage and paper decorations. Classroom pack holds 72 resealable, 10 cc tubes of non-toxic glitter glue in 12 assorted Iridescent and Neon colors. 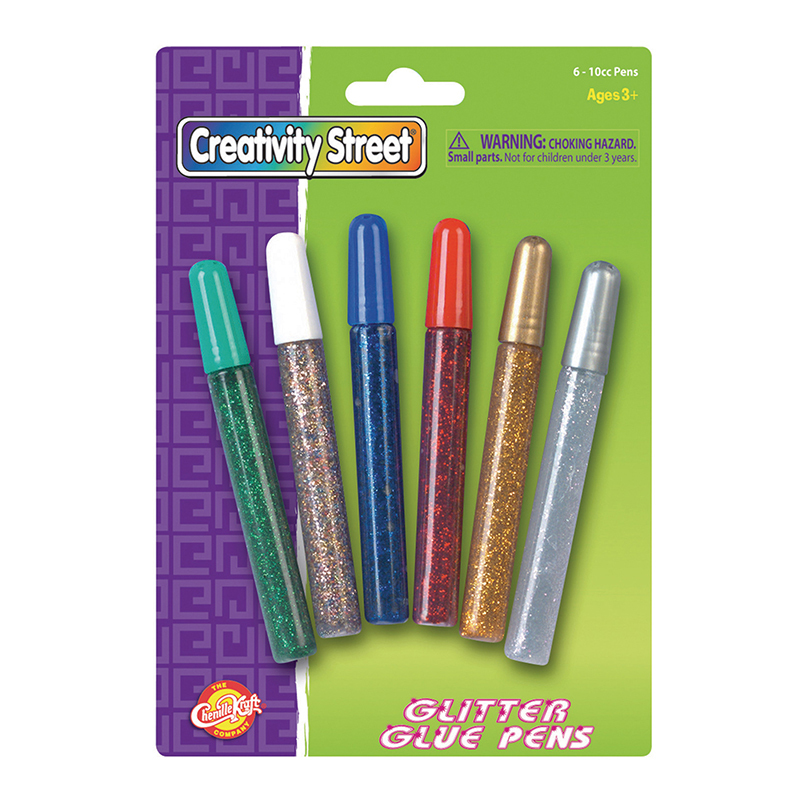 The Glitter Glue Pens 72 Assd Classpack can be found in our Glitter product category within the Arts & Crafts. Embellish projects with the sparkle of glittering glue. 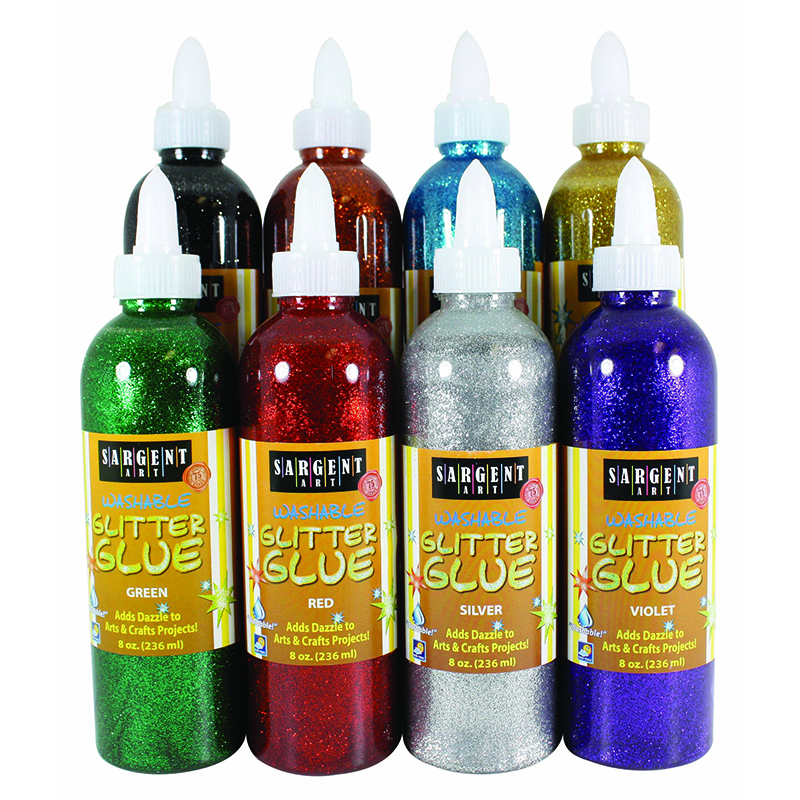 Easy-to-handle, resalable tubes dispense glittering glue. 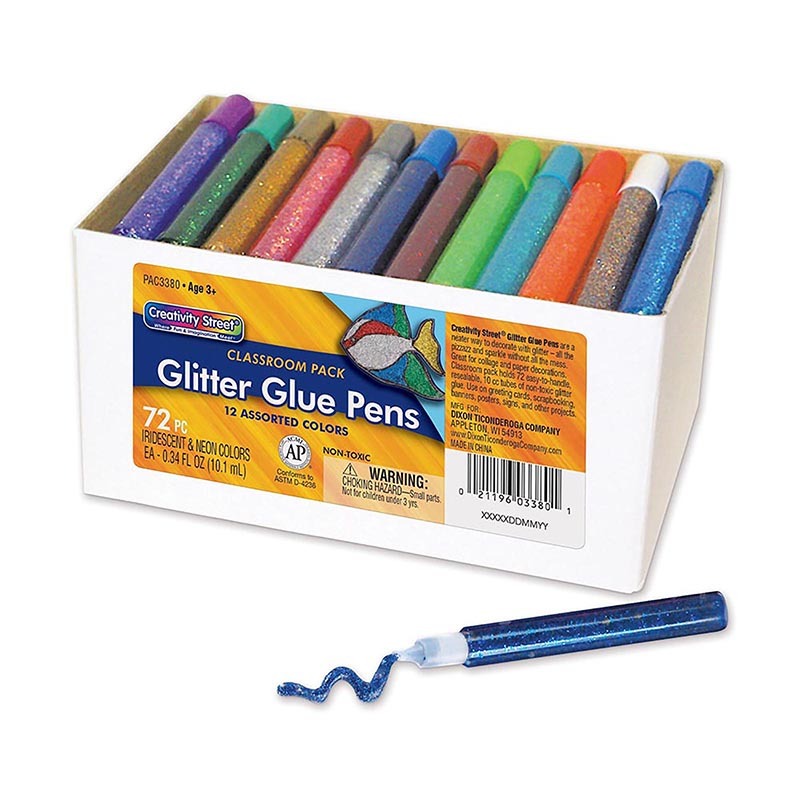 Glitter Type: Glue Pen; Color(s): Assorted; Capacity (Volume): 10 cc; Packaging: Tube. 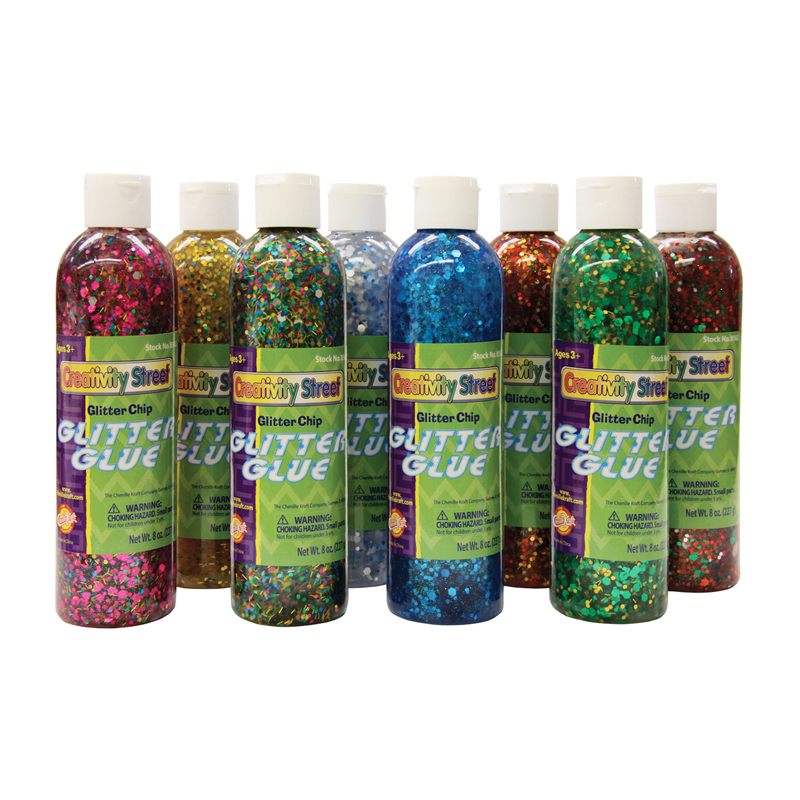 The neater way to decorate and personalize craft projects with glitter. All the pizazz and sparkle without all the mess. Easy to handle, resealable 10cc tubes dispense glue with sparkling accents. 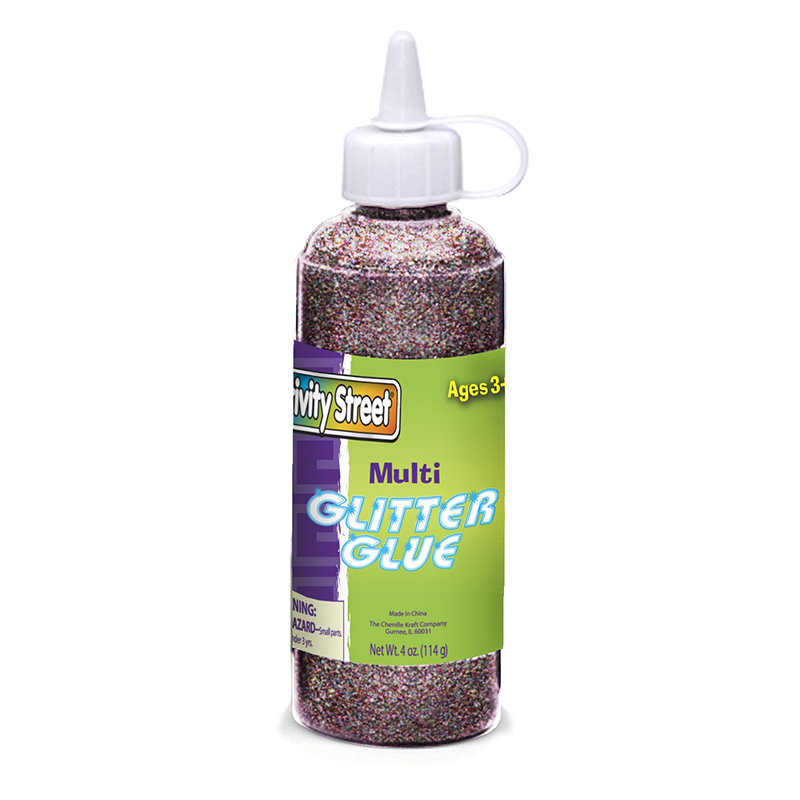 Easy-to-handle, resalable tubes dispense glittering glue. The neater way to decorate with glitter. All the pizzazz and sparkle without the mess. Easy to handle resealable 10cc tubes dispense glue with sparkling accents. Great for collage and paper decorations.Set is made up of 6 Bright Hues colors.